Dr. Ana Y. Ramos-Zayas is a Professor in the Department of Black and Latino Studies at Baruch College and the Department of Psychology (Social Critical Psychology Program) at the CUNY Graduate Center. An anthropologist by training, Ramos-Zayas is also affiliated to the Center for Latin American, Caribbean, and Latino Studies. She occupied the Valentin Lizana y Parrague Endowed Chair in Latin American Studies upon arriving at Baruch in 2012. Ramos-Zayas is the author of two award-winning books National Performances: Class, Race, and Space in Puerto Rican Chicago (The University of Chicago Press, 2003) and Street Therapists: Affect, Race, and Neoliberal Personhood in Latino Newark (The University of Chicago Press, 2012). She is also co-author of Latino Crossings: Mexicans, Puerto Ricans, and the Politics of Race and Citizenship (Routledge, 2003). 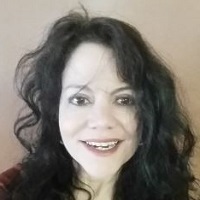 Ramos-Zayas has published journal articles in the fields of youth culture, race and critical race theory, citizenship and migration, the anthropology of emotion and affect. Mostly from a geopolitical focus that centers on Latino and Latin American populations, particularly Brazilians and Puerto Ricans, Dr. Ramos-Zayas’ work is comparative and ethnographic in nature. Ramos-Zayas is currently working on an ethnographic project tentatively titled Affective Privilege: Affluence, Race, and Parenting in Ipanema (Rio de Janeiro, Brazil) and El Condado (San Juan, Puerto Rico). Drawing from ethnographic field work in two affluent Latin American neighborhoods, Ramos-Zayas examines how parenting ideologies are articulated in the context of local privilege and global neoliberal anxieties. Ramos-Zayas’ body of work aims to understand and disentangle systems of power and privilege at a variety of scales, ranging from U.S. imperial and white supremacist politics to the ways in which individuals and communities make sense of everyday forms of power and subordination. Issues of social justice and the intersection of intimate worlds and political economic structures are fundamental concerns in her empirical analyses. Ramos-Zayas has taught a variety of graduate and undergraduate courses including: “Urban Ethnography,” Introduction to Latino and Latin American Studies, “Youth Cultures,” and “Migration, Race and Citizenship.” She has also mentored a number of graduate students at Rutgers, where she taught for ten years before joining CUNY in 2012, and at the Graduate Center, as well as in other universities in the U.S. and abroad. Mentoring students and witnessing their process of discovery is one of Ramos-Zayas’ most gratifying roles.